See Spot ski. 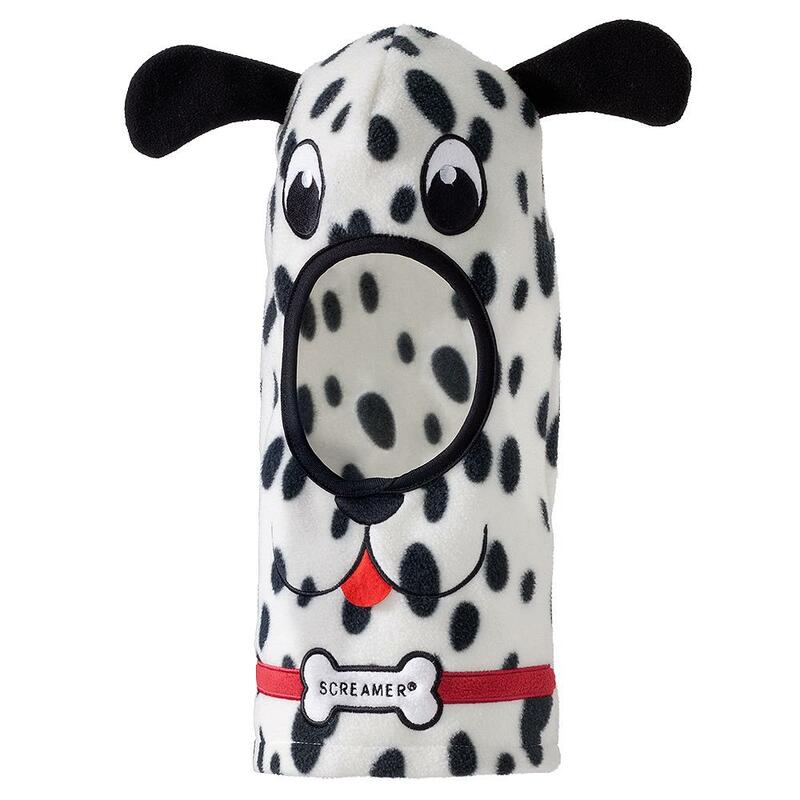 Screamer Hat's Spot Facemask is a must-have for the canine-loving, snow-romping child. This warm polyester mask transforms him into an adorable spotted puppy while protecting his skin from the cold air. A set of floppy ears completes the design.